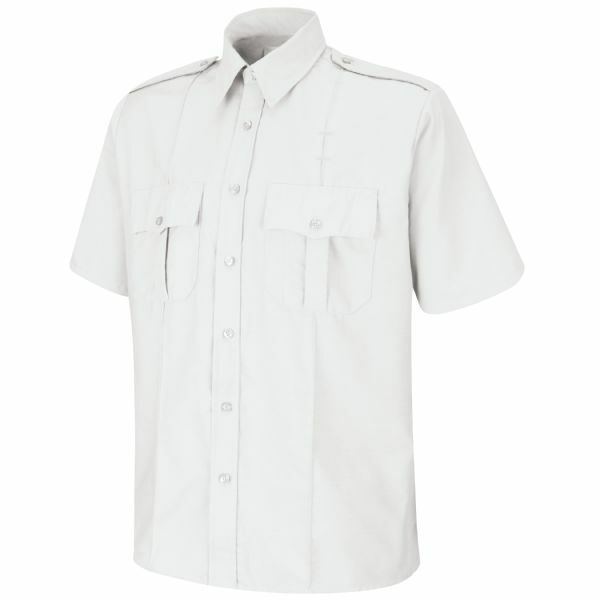 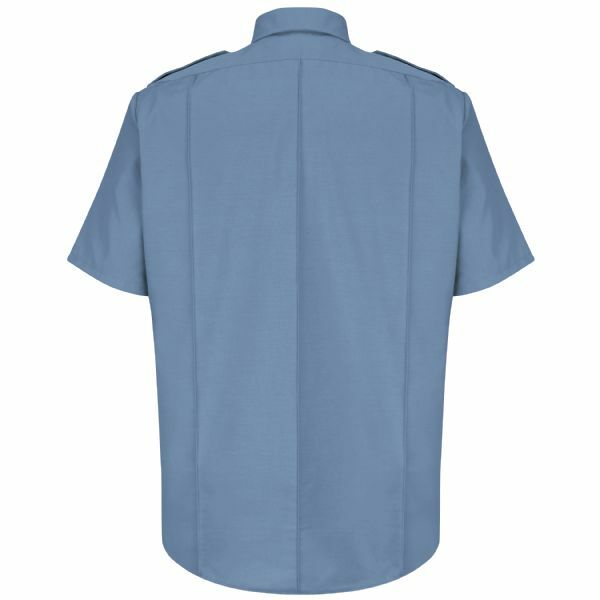 The Upgraded Security Shirt offers all the same quality features of our Basic Security Shirt with additional features, such as stitched down military creases—two in front and three in back—and two hex style pockets with hook and loop closure on scalloped flaps with a decorative button. 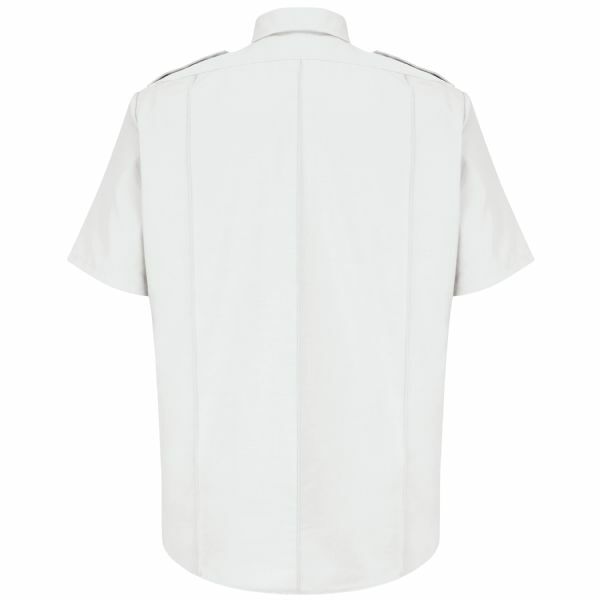 Center-Front Placket and Seven Four-Hole Pearl Buttons with Vertical Button Holes. 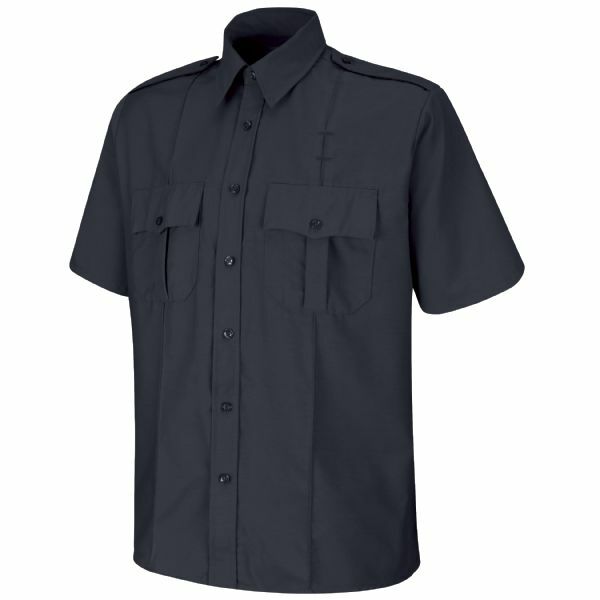 Dark Navy has Melamine Buttons.